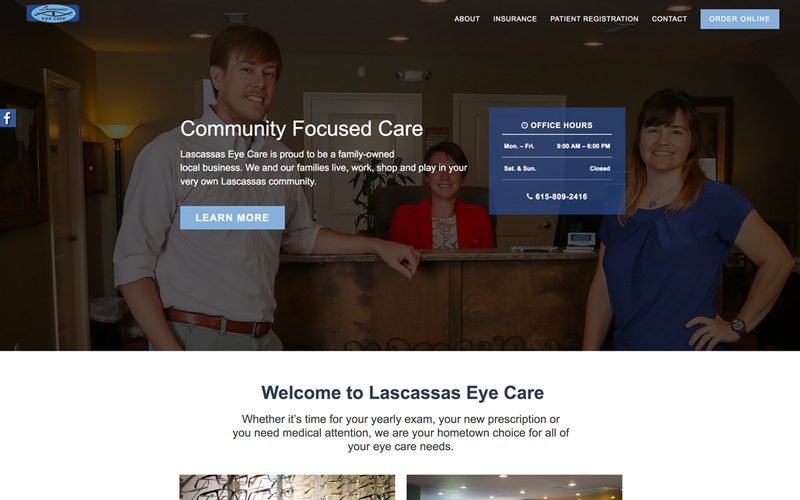 Located in middle Tennessee, Lascassas Eye Care is a small-town, family-owned eye-care center providing optometry services and a variety of glasses and contacts. New Frame Creative built a website for a business owned by the McCubbin family (the business owners) nearly 10 years ago when they lived and worked in a different optometry center in Knoxville. After they relocated to Lascassas, they trusted New Frame Creative once again to build a new website for their new business.